Goals: To produce a fun, engaging and modern outlet to learn more about local history, that increases interest in the subject. Barton upon Humber is a historical treasure trove featuring some of the UK’s key heritage sites, including one of the only remaining Anglo-Saxon buildings. It is also the birthplace of Chad Varah – founder of the Samaritans, and was once home to the world's largest cycle works. Our aim with Hidden History was to make this diverse and compelling history readily available for Barton visitors and residents. 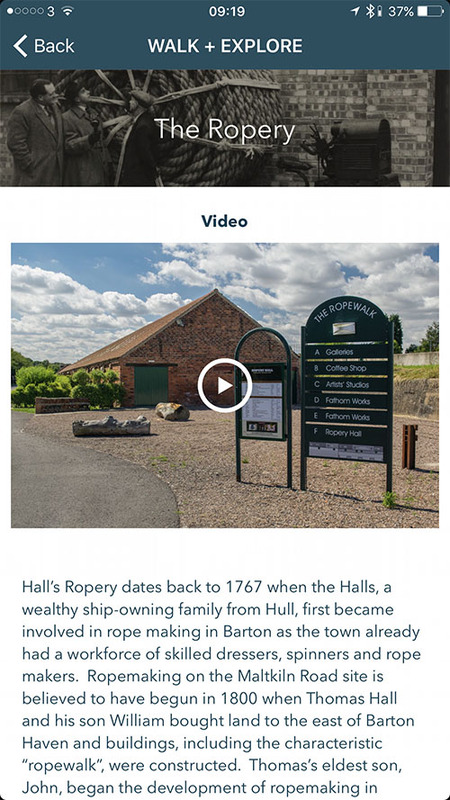 Hidden History Barton is an interactive platform that puts all of this information at your fingertips, so you can experience it whilst exploring the historical locations themselves. Over a 12 month period, we gathered historical information about the town - facts, personal stories and everything in between. We made some fantastic discoveries, connected with people who have lived through some of Barton’s key periods and poured all of our newfound knowledge into this app. Hidden History tells of this fascinating history through a collection of media including original and authentic photographs, video clips, narration and text. Hidden History Barton was supported by Arts Council England, North Lincolnshire Council, The Ropewalk and The Wilderspin National School Museum. Head over to the Hidden History Barton website for more information. © 2019 Blueprint: Film Foundation All Rights Reserved.